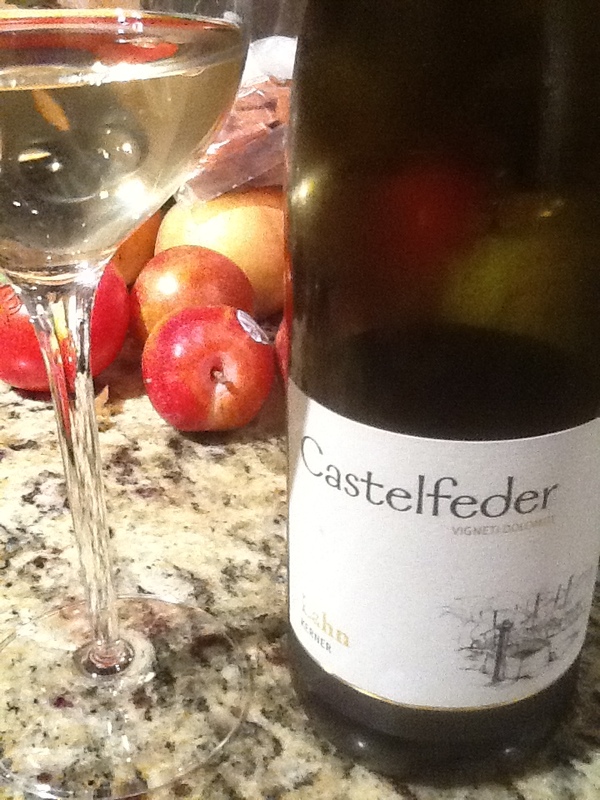 Castelfeder “Lahn” Kerner 2012, from Alto Adige Region of Italy. Sourced from Garnet Wines, $14/bottle. 14% ABV. Pale gold in color. 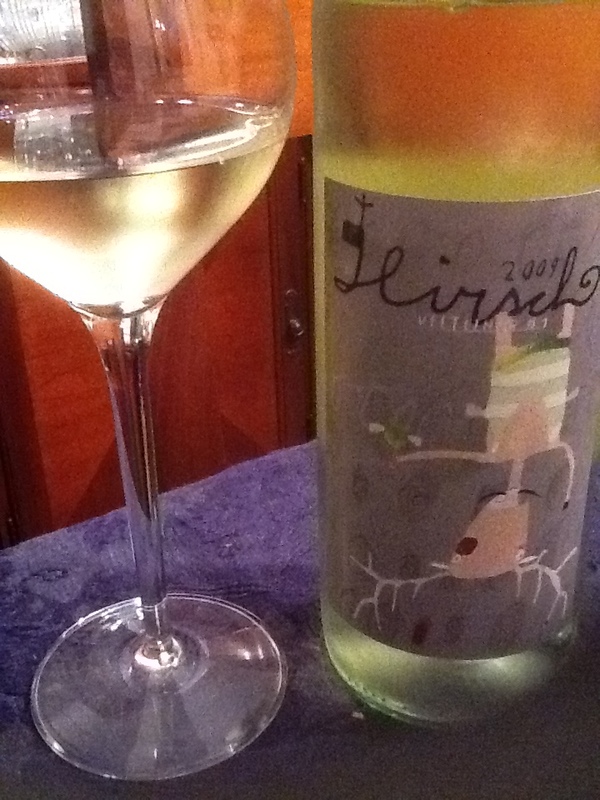 Delightfully curious nose of lychee, mature apple, young pear and orange zest. In the mouth, this wine is dry, flavors of citrus battle behind gravel and clay minerality and lots of spicy white pepper. The medium finish feels longer that it is, given how dry and gentle the wine seems on first notice. Very well made, easy to appeal to many types of white wine drinkers. On one hand, this is a delight to drink on its own, on the other hand, a good pairing could make this wine an indispensable part of your menu, cellar, or repertoire. Gentle fruit, high acidity, and nice finish from this wine made 100% from Kerner grapes, which are a crossbred grape between riesling and trollinger. Like the Tyrolean people with their sense of Austrian/Germanic reserve and rigid staunchness, this seemingly straightforward wine demonstrates power in its taut, angular approach and surprises in the multifaceted structure and finish. 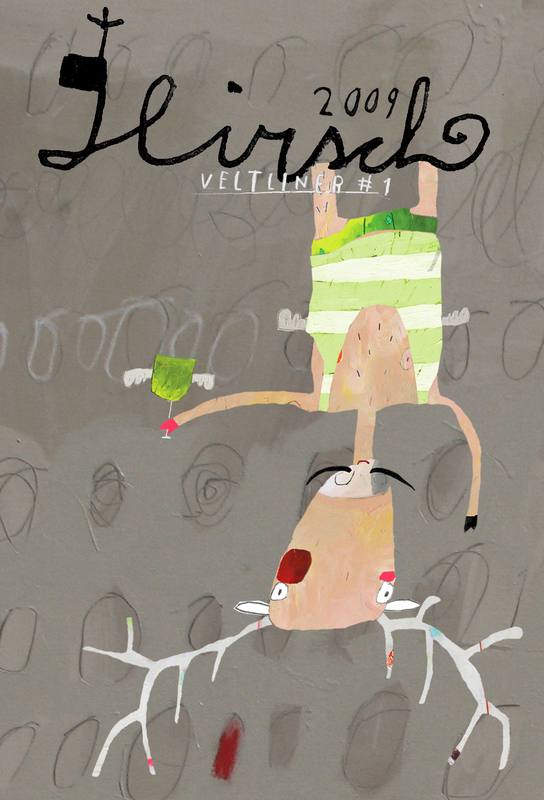 More info on Castelfeder via the attached link. Today’s blog post is to answer an email from a subscriber! J.S. writes: I have a little collection going (like under 10), mix of reds and whites. Just some of my favorites and the odd gift or two. I have a wine rack, and its stored in my room (so cool and dark most of the day)…what else do I need to know about storing the wines? Do wines have expirations dates? Do I need to turn them or something? Physical storage: for wine storage, a dark location (no sunlight!) that is a constant 50-55˚ Farenheit with 60-70% relative humidity is ideal. Unless the wine has a screw cap or non-traditional closure, the wine should be on its side if you intend to store longer than a year. Honestly, wines that I intend to drink within three months are usually vertical on or near my dining room buffet, arranged much like in a shop- bottles are sitting in a queue, waiting to be opened and enjoyed. For bottles you’d like to store longer, make sure the bottle is either on an angle or on its side, keeping the cork wet. Once a bottle is in long-term storage, the idea is NOT to move them. This is where those little bottle neck tags come into play- you put a label on the neck so you don’t have to move the bottle, and the wine rests happily ever after… at least in theory. In general, wines that are in the $20 and under range are intended to be drunk in the first five years after their release. If you have wines that are older than five years (pre-2008 at time of this writing), that are NOT a first or second growth from a famed producer, then I’d suggest you open those soon, before they become something better suited to dress a salad. Tangent Warning for Corked Wine Stories! Believe me, I’ve had my share of experiences with wine being corked from over-aging, being cooked, and swinging temperature problems. When you buy a case of great wine and it slowly decays with age, it will teach you what NOT to do pretty quickly. My first big lesson in bad wine storage was after I’d been storing about half a remaining case in the bottom of a pantry (nice, dark, usually cool) but I totally forgot about it when we departed for a summer vacation and I shut of the air conditioning. I had lots of salad dressing, let me tell you, when I could have simply put those bottles in the (gasp) refrigerator instead during that month. While it would have been a different kind of damage to the wine, it would have been the lesser of two evils and I probably could have enjoyed them come Thanksgiving. And at least, I could have enjoyed them at all! Don’t fret, as I’ve purchased vintage wines that were corked as well… let’s just say, it’s always a risk, and a concern that is worth your consideration. Home of one of the world’s greatest wine lists, Bern’s Steakhouse in Tampa, Florida has a wine storage facility for over a million bottles of wine. In speaking with their sommeliers, I learned that they tend to keep the bottles on the colder side and it aids in long term storage of wines, slowing the aging process. The wine industry (Actually, Southeby’s Wine Encyclopedia and its editor Tom Stevenson) says that most wine of purchased these days is bought with the intent of being consumed within 24 hours. Yet plenty of wine lovers have told me to buy wine from classic chateaux, lay then down for seven to ten years, then CONSIDER opening one bottle to see how its aging. This assumes you have good taste, great storage location, and disposable wealth- but I love the concept. What wines will age well? If you have champagne, pino grigio, or sauvignon blanc in your rack, plan to drink it within a couple of years, as it won’t age well. Only vintage champagnes (ie, dated bottles, quite expensive, such as the famed ’71 or ’82 Dom or Tattinger, thank you Mister Bond!) will improve with age. 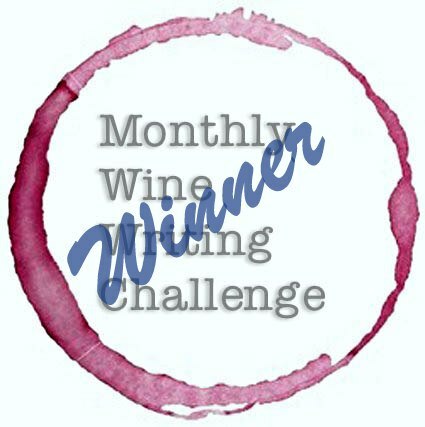 Now, some whites (Riesling & chardonnay), and many bold red wines (aglianico, cabernet, merlot, nebbiolo, pinot noir, sangiovese, syrah, zinfandel) can really improve with age. A wine with a great structure is a start, but what to look for? The trinity of a good balance is fruit, acidity, & tannin, and this is why historic Bordeaux blends, some Burgundies, and the infamous Barolo and Brunello wines gather so much praise and accompanying expense at auction. Have I answered your question yet, JS, or is it time to open a bottle of wine? IN SHORT: Keep ’em cool and dark, and unless they are premium first or second growths, you should probably drink them within five years of their label age. If they are premium wines, aging 10-20 years is not uncommon, and use the aging chart. I tend to use Wine Spectator’s reviews which offer a specific range of drinkability, which I put into my cellar history to remind me which wines need to be enjoyed now, which ones are coming of age, and which ones are on the end of their lifespan. Personally, I continue to find some amazing deals of lovely aged wines to share with friends from the 1980’s and 1990’s that are delicious and worth every penny… so in spite of a few bad bottles, I continue to cellar and collect! If you have questions or topics you’d like to engage in, please email me at jvbuncorked@gmail.com. Hirsch Grüner Veltliner ’09, Austria. From Garnet Wines & Liquors, $14. 11.5% ABV. The bottle is comical: green screwcap with red and white top, a childlike, handmade drawing of an inverted moose wearing an 1920’s bathing suit, holding a winged wineglass right side up. While it is a funny label, I admit that had I seen this in the store, I would probably have ignored it based on my tendency to write off silly labels. So be glad I didn’t, instead I ordered this directly from the store as part of a mixed case for my personal tasting. The bottle enhances the green color, but in the glass the wine is a yellow straw with a gentle green tint. The delicate nose is mostly grapefruit and lemon peel with a note of sunflower, the mouthfeel is citrus with green pepper, sweetness hiding underneath the acidity and a long mineral finish. This is the alps’s answer to sauvignon blanc, done beautifully. I plan to find more good value grüners like this one and work on pairing notes! Greenish yellow tint, with lime and daffodil on the nose. Tart lime, granny smith apple peel, and soft, white peach undertones round out the palate with tiny bubbles. Tasty. At these prices, why aren’t we all drinking Vino Verde with a first course at dinner? Another great value that is worth trying. 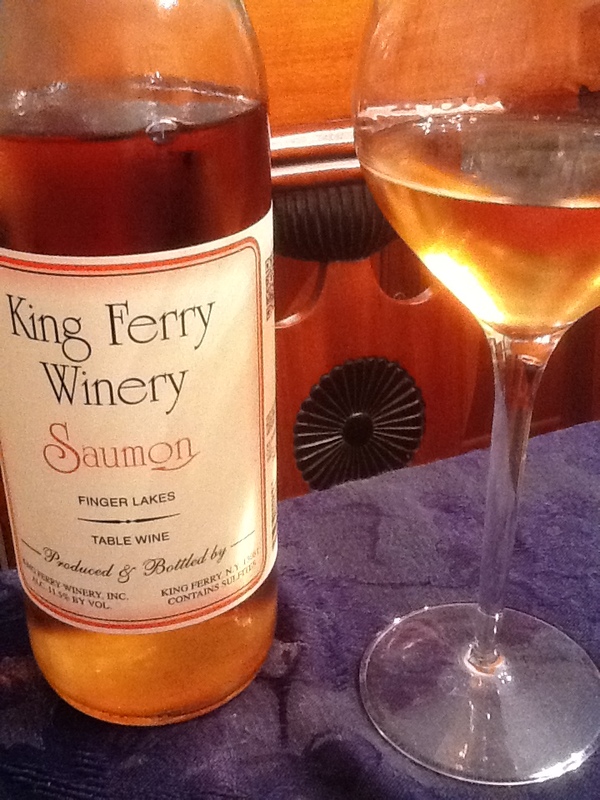 Saumon, King Ferry Winery, 2012. King Ferry, NY. $18/bottle at Local Farmer’s Market, as low as $10/bottle online. Color: bright pink with orange accents. The nose has wildflowers and pink cotton candy showing the sweet side of this blend. In the mouth I experienced strawberry, watermelon, hints of halite, stone, and granite. 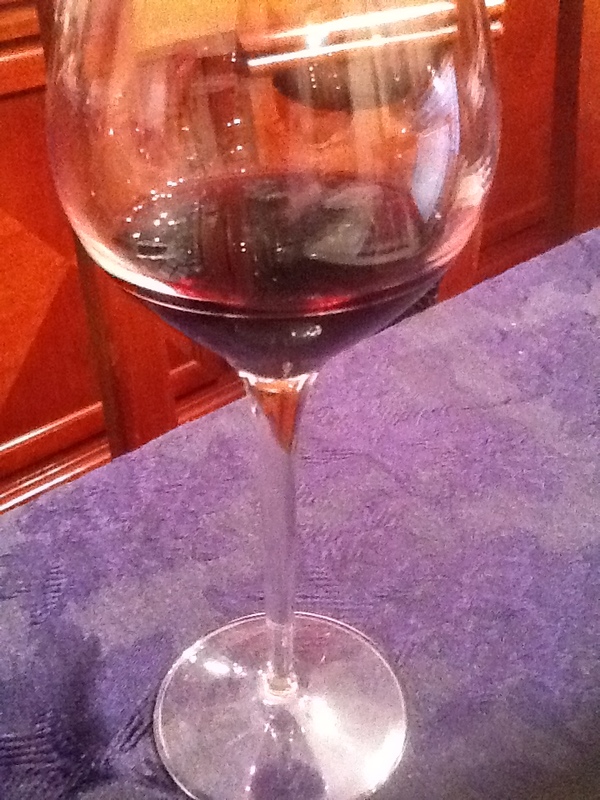 A medium-to-short finish ends tart, with the mouth enjoying the blend and ready for another sip. Other than being price-gouged at the local farmer’s market (I paid double the winery price! Boy did I feel foolish when I found the MSRP price online) I enjoyed this rosé. If I had purchased it at the winery price, it would be a good value. I’m still happy to support local wines and the local market, and this is the first New York wine I’ve shown on UnCorked! 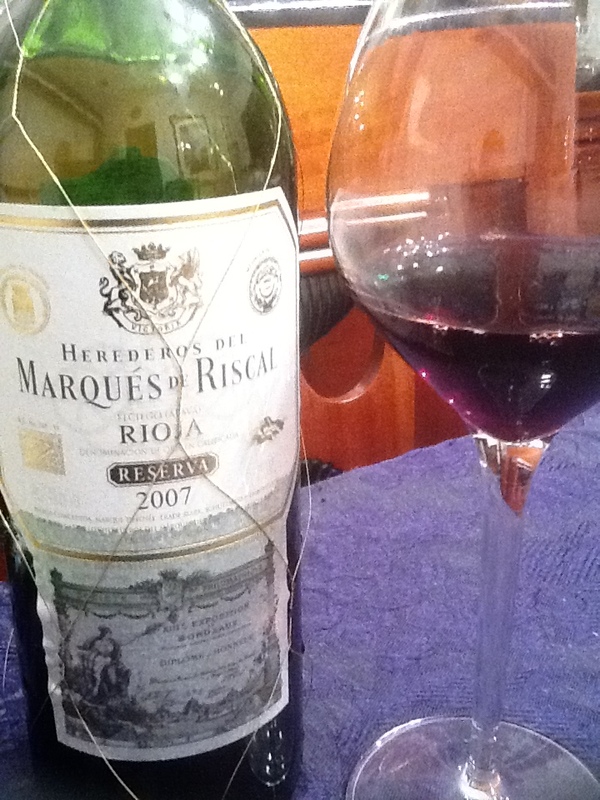 Herederos Del Marques de Riscal Reserva, 2007. Rioja, Spain. Mayfair Wine and Sherry Lehman, $16/bottle. ABV 13.5%. Color is deep ruby with garnet edging. Nose of pepper, dusty rose, and black plum. On the palate I found cassis, spice box, black pepper with notes of burnt wood, saddle leather, granite and limestone. A full-bodied wine with elegant structure and a mid-long palate, it drinks like a wine that has aged ten years and costs three times the price. This reserva is primarily tempranillo with a small amount (under 10%) of graciano and mazuelo grapes. This well-made blend demonstrates both complexity and character and offers a flavorful glimpse into the sunny and historic spanish countryside. The savory front palate, relaxed acidity and mature tannins join to make this wine shine. It pairs wonderfully with several types of food, but flavors such as spicy sauces, cured and roast meats or chocolate will truly shine with this wine. One of my current favorites at home with massive value for quality versus price, and a great gift wine. I have enjoyed the 2006, the ’06 and ’07 and expect to continue to see this wine find a greater market share, and the corresponding increased price.